"All the basics for the artist or photographer who is interested in doing his or her own framing and mounting". -- Library Journal.Complete instructions for achieving a professional presentation of artwork using a limited number of tools. 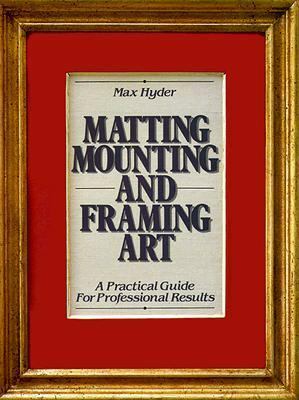 Information on photographing the finished work.Hyder, Max is the author of 'Matting, Mounting and Framing Art' with ISBN 9780823030279 and ISBN 082303027X.